The weather seems to finally be improving, and we’re sure that like us, you’re now enjoying those lazy summery evenings, relaxing with a cool refreshing glass of crisp white wine! The sun has us all excited about the coming months, and to get you in the holiday spirit, we have a fantastic summer offer on our Essential Florence package with an incredible saving of £288 on offer. Continuing the Tuscan celebrations, we are delighted to launch today a brand new Essential Siena break, based at the 4* Hotel Athena. Siena’s historic centre is classified as a UNESCO World Heritage site, and this tour gives you the opportunity to explore the quaint medieval town, as well as indulging in plenty of Tuscan wine! Summer Savings: Receive an incredible 35% discount on a 4* break! 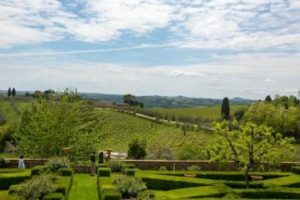 Tuscany is a much sought-after holiday destination amongst wine lovers, so look forward to summer, with a four day/ three night trip to Florence in August. Based at the stunning 4* Hotel Brunelleschi, our Essential Florence break offers an excellent introduction to the Tuscan region, and on day two you will enjoy a full day guided and transported tour, visiting three Super Tuscan wineries in the Chianti vineyards. On day three, you will have the opportunity to cruise down the Arno river in a traditional barchetto boat, and you’ll also delight in Florentine cuisine, with a gastronomic six course dinner being the highlight of the day! Reduced from £822 to just £534 per person for August travel only, this deal is truly too good to miss! 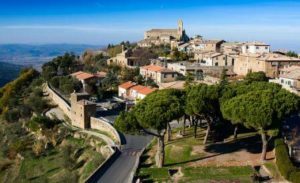 Experience a true taste of the Italian dolce vita with this tempting Tuscan tour! The welcoming 4* Hotel Athena is enviably located in the heart of Siena, within the ancient city walls, offering an excellent base for your trip. 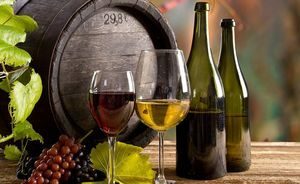 During the tour you will be introduced to the regional wines of Montalcino-Montepulcino with the opportunity to discover picturesque towns in the rolling Tuscan countryside. On the four day break, enjoy a second afternoon of tours, visiting the splendid hilltop medieval town of San Gimigano – a must see! Prices start from just £144 per person on the three day break, and the tour is available mid-week and weekends throughout the year.